Normally, orphanages are supposed to prepare children for adoption but instead fake orphanages are involved in children trafficking and other mischievous practices. In most, cases the children are given out for adoption without informing the relatives or they just disappear. Apart from that, creating an orphanage has become a means of obtaining money and other material support from the government and international donors. The proceeds are rather used to enrich themselves and their families rather than the orphans. It is more than a shock that a couple in their 20s sold their newborn baby for 2 million won ($1,600) through the Internet. The reason behind what should not have taken place was that the young, unmarried couple could not raise the baby due to financial difficulties. What a pity and a surprise! It is hard to imagine how people can buy and sell babies. Poverty may be to blame. The incident took place in Daegu in May when a 28-year old identified as Ryu gave birth to a baby girl. She and her husband decided to give up the infant because they could not afford to take care of it. First they searched for information about how to send the baby to an adoption agency. But, they soon found out that a woman, who is now being seen as a broker, was looking for a baby. Then, the jobless couple handed over the three-day-old infant to her in return for the money. Only an hour later, the suspected broker sold the baby to a 34-year-old identified as Baek whom she also came to know through the Internet. This time, the price more than doubled to 4.6 million won. It seems that Baek, who is sterile, bought the baby in a bid to avoid a complex adoption procedure. She also apparently tried to deceive others into believing that the baby was really born to her. The Guatemalan army stole at least 333 children and sold them for adoption in other countries during the Central American nation's 36-year civil war, a government report has concluded. Around 45,000 people are believed to have disappeared during Guatemala's civil war, 5,000 of them children. Many of those children ended up in the United States, as well as Sweden, Italy and France, said the report's author and lead investigator, Marco Tulio Alvarez. Almost half the agencies in Ethiopia are unregistered, some doing whatever they can to find children to satisfy the foreign market. While there are more than 5 million legitimate orphans in Ethiopia, a large proportion of these will never be considered for international adoptions. Foreigners prefer younger children - babies to five-year-olds. Older children or those with health problems are more difficult to pitch. So while many children languish in underfunded and overcrowded orphanages, some international adoption agencies are out spruiking in villages asking families to relinquish their children for adoption. 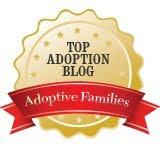 Parents are often unaware of what they're doing when they offer their children for adoption. They're led to believe they'll hear from their children regularly and their children will be well educated and eventually bring the family wealth. But in reality, the parents and families never hear from their children and receive little information about where their children have gone. We filmed a room full of grieving mothers who gave their children for adoption after agencies promised they'd be given regular updates. The conclusion to the Ethiopian story applies equally to all the international adoption stories: No one disputes there is a real need for international adoptions, but for the sake of the children and adoptive parents there needs to be some protection from unscrupulous agencies who purport to be driven by humanitarian interests, but in reality are stuffing their pockets with dirty cash. For those interested, a 1985 movie "La historia oficial/The Official Story" is about a mother's search for the truth behind her daughter's availability for adoption in Argentina in the 1970s. Much like the Guatemala story you highlight. Oooh, I should have mentioned that it's a fictionalized account. And heart wrenching. "They're better off with their adoptive parents"
What Happens When the Story Changes? "The Importance of Telling the Story"
Asian-American Stereotyping in Annie Le Murder? What No One Told Me . . . Call Me Sensitive. . .
"Why is it called 'birthday?'" Katherine Heigl Doesn't Want "My Own Children"